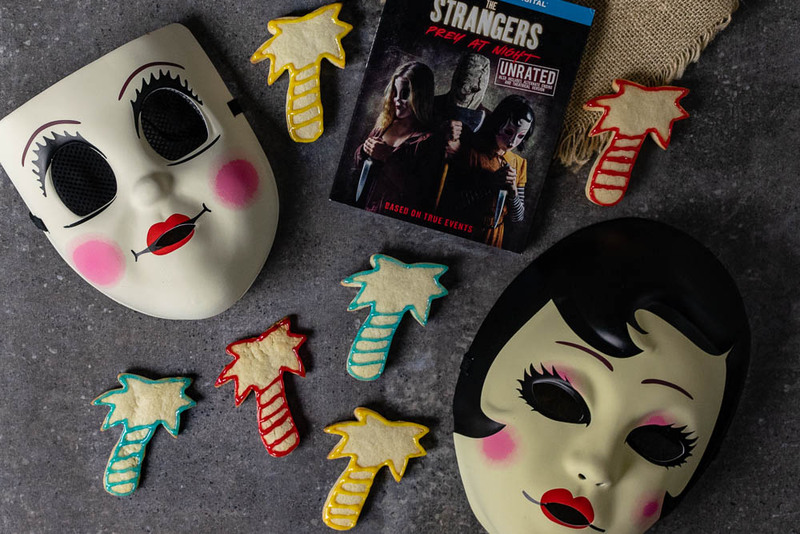 We received a review copy of The Strangers: Prey At Night to help with creating our Total Eclipse Cookies. It has been a hot minute since we’ve shared a new horror recipe with you! To be honest, most of them are going into our upcomnge-book cookbook, Nightmares and Noms: The Unofficial Horror Cookbook. However, when we were asked to create a new recipe for The Strangers: Prey at Night we just had to say yes! If you haven’t seen the film, our Total Eclipse Cookies may be a little confusing but rest assured, they totally make sense! Here is where we would normally tell you about the inspiration behind our recipe. 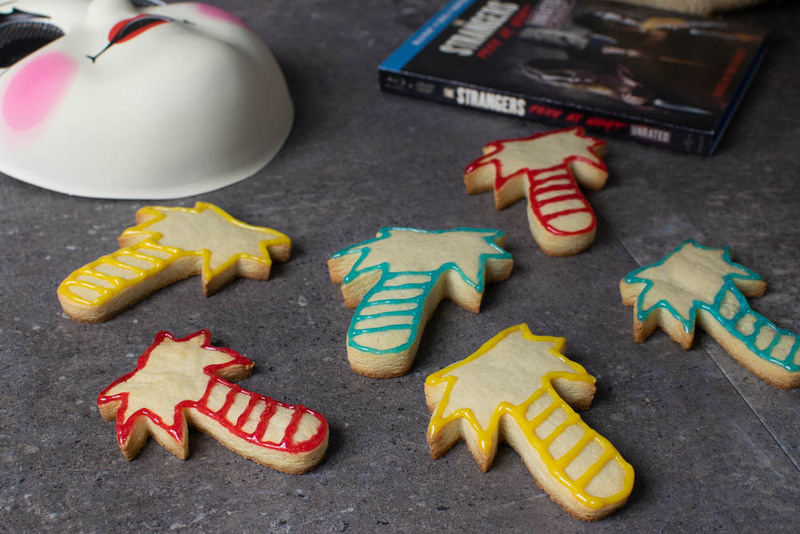 Without spoiling, we will tell you that these cookies were inspired by one of our favorite scenes in the movie. When we saw the film in the theater, this scene blew us away! As we mentioned earlier, if you haven’t seen the film you will understand the reference once you have. Speaking of seeing the film, do you want a chance to win a copy of the Blu-ray? Well, now you can! Enter below and you have a chance to win your very own copy! The Winner will be selected next week! Good luck! The Geeks have created a brand new fun recipe, Total Eclipe Cookies, for The Strangers: Prey at Night! Prepare cookie dough per recipe instructions. Cut dough using the palm tree cookie cutter. Line the outer edge of the cookies with 1 of the colors. Draw 5 diagonal lines across the trunk. Repeat until all cookies are decorated. The Geeks were provided with a copy of The Strangers: Prey at Night for research purposes. Images and title treatments were used with permission. Giveaway faciliated by Think Jam. All opinions are wholly our own. View our Disclosure Policy for more info.